Our Roseville and Sacramento cosmetic surgery Patient Coordinators work closely with the patient and physician to insure optimum communication. The Coordinators provide information on the physicians, the practice, and your upcoming procedure. They offer pre-surgery and basic post-op instructions, fee information, and schedule your surgery. After surgery, our Medical Assistants are available to answer any questions regarding your recovery. The Medical Assistants can be reached through our main line (916) 929-1833. 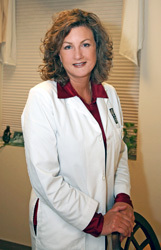 My Patient Coordinator is Kelly Wilson and she can be reached at (916) 569-5243. We do require an adult to pick you up in Sacramento after your plastic surgery procedure and stay with you for 24 hours. The person who stays with you does not need be in the medical field. Please ask your Patient Coordinator for information regarding caregivers and available agencies that provide home healthcare. Hanger Prosthetics has many area locations from Redding to Lodi. Visit the above web site for details. Insurance cases should contact their health insurance plan to locate contracted laboratory locations. The American Society of Plastic Surgeons (ASPS) provides an excellent site offering straightforward, dependable information on the most common procedures, photos, statistics, frequently asked questions, and much more. A similar site is sponsored by the American Society for Aesthetic Plastic Surgery (ASAPS). The Mayo Clinic site offers general information on plastic surgery benefits and risks.